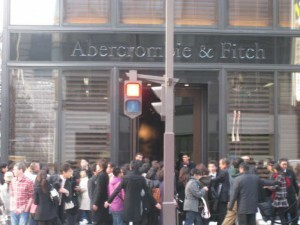 Abercrombie & Fitch opened its first Asian flagship store in Ginza, Tokyo. 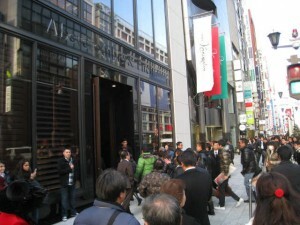 The 12-story building is located in Ginza, once the heartland of top luxury brands but now dominated by fast-fashion brands like Sweden’s H&M Hennes & Mauritz AB, Zara of Spain’s Inditex Group, and Japan’s Uniqlo chain operated by Fast Retailing Co.
Abercrombie promises to deliver the same “all-American” experience—including the buff, shirtless store models—found at its four other flagship stores in New York, Los Angeles, London and Milan. 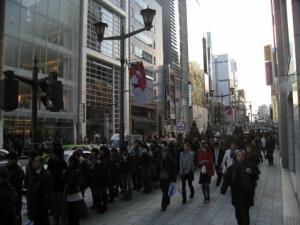 Long lines of over 800 people snaked around the Ginza store as the doors were opened by international store models, clad in their signature red and blue-checkered shirts, with their greetings in English. 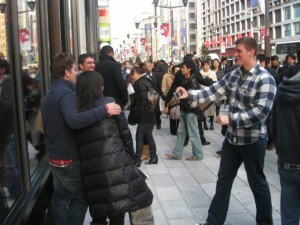 While Abercrombie already enjoys a strong following in Japan, the company also hopes to lure fans from the wider Asian region by opening its store in Ginza, a district popular with tourists. 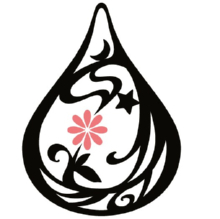 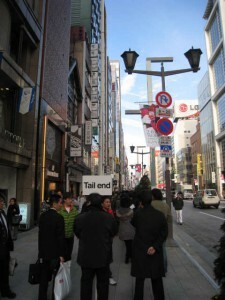 It is also considering opening its second Japanese store in Fukuoka in 2010. 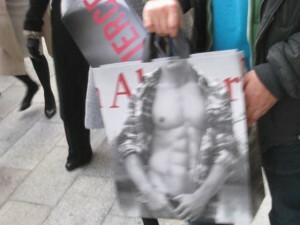 Pingback from Abercrombie&Fitch Ginza | Tenkai-japan: Cool Japan Guide – Travel, Shopping, fashion, J-pop, etc.